Homes sales in Southeast Kansas rose by 4.7% in December compared to the prior year. Sales in December 2017 totaled 67 units, up from 64 in 2016. The average sale price was $66,403. This represents an increase of 6.6% from the December 2016 average price of $62,289. A total of 65 contracts for sale were written in December 2017, up from 57 in December 2016. This is an increase of 14.0%. Contracts written during the month reflect, in part, sales that will close in the near future. The inventory of active listings in Southeast Kansas stood at 758 units at the end of December, which is up from 717 homes that were on the market at the end of December last year. At the current rate of sales, this figure represents 11.3 months’ supply of homes on the market. For questions and/or comments, please contact SEKAR President Julie Eisele at 620-331-3350 or julie@midwestks.com. Homes sales in Southeast Kansas rose by 10.5% in June compared to the prior year. Sales in June 2017 totaled 95 units, up from 86 in 2016. The average sale price was $96,017. This represents an increase of 15.1% from the June 2016 average price of $83,397. A total of 93 contracts for sale were written in June 2017, up from 78 in June 2016. This is an increase of 19.2%. Contracts written during the month reflect, in part, sales that will close in the near future. The inventory of active listings in Southeast Kansas stood at 751 units at the end of June, which is up from 711 homes that were on the market at the end of June last year. At the current rate of sales, this figure represents 7.9 months’ supply of homes on the market. Members of the Southeast Kansas Association of REALTORS® represent home sellers and buyers throughout 11 counties in SE Kansas, covering over 6,000 square miles with a population of over 134,000 people. Some communities included are Independence, Coffeyville, Chanute, Iola, Parsons, and Fort Scott. For questions and/or comments, please contact SEKAR President Amber Gregory at 620-330-1637 or ambergregory@kw.com. 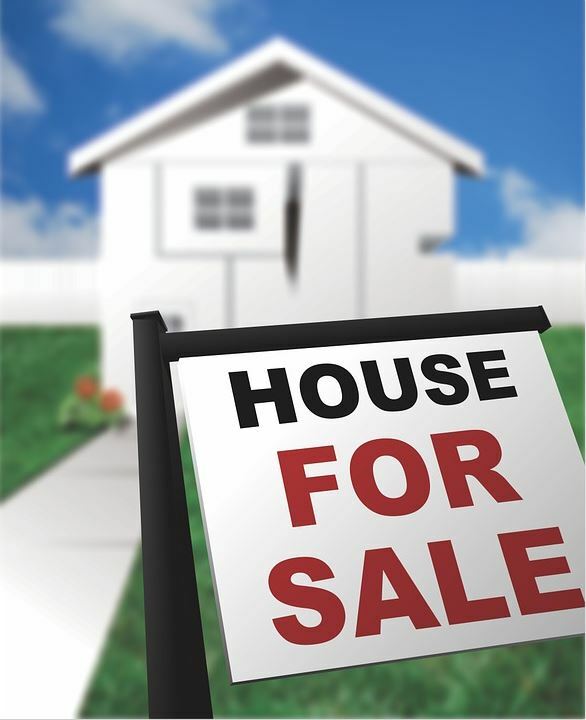 Homes sales in Southeast Kansas fell by 25.4% in February compared to the prior year. Sales in February 2017 totaled 53 units, down from 71 in 2016. The average sale price was $80,512. This represents a decrease of 3.3% from the February 2016 average price of $83,242. A total of 73 contracts for sale were written in February 2017, down from 83 in February 2016. This is a decrease of 12.0%. Contracts written during the month reflect, in part, sales that will close in the near future. The inventory of active listings in Southeast Kansas stood at 755 units at the end of February, which is up from 671 homes that were on the market at the end of February last year. At the current rate of sales, this figure represents 14.2 months’ supply of homes on the market. The Officers & Directors of the 2017 Southeast Kansas Association of REALTORS® (SEKAR) Board of Directors were installed at the February General Membership meeting held in Independence. Cindy White, 2017 Kansas Association of REALTORS® President conducted the installation ceremony. Installed were Amber Gregory, President; Julie Eisele, Vice-President; Jessica Hensley, Treasurer; along with Council Directors – Martha Bond, Coffeyville; Jackie Friesberg, Independence; and Kylie Smith, Parsons. The Southeast Kansas Association of REALTORS® represents approximately 150 real estate industry professionals who safeguard private property rights, advocate for healthy housing and commercial real estate markets, and promote economic prosperity throughout southeast Kansas in the communities of Chanute, Coffeyville, Columbus, Erie, Ft Scott, Fredonia, Independence, Iola, Neodesha, Oswego, and Parsons. Pictured from L to R are: Jackie Friesberg, Julie Eisele, Amber Gregory, Cindy White, Jessica Hensley, Martha Bond, and Kylie Smith. Homes sales in Southeast Kansas rose by 47.5% in January compared to the prior year. Sales in January 2017 totaled 59 units, up from 40 in 2016. The average sale price was $75,731. This represents an increase of 24.1% from the January 2016 average price of $61,042. A total of 62 contracts for sale were written in January 2017, down from 68 in January 2016. This is a decrease of 8.8%. Contracts written during the month reflect, in part, sales that will close in the near future. The inventory of active listings in Southeast Kansas stood at 790 units at the end of January, which is up from 657 homes that were on the market at the end of January last year. At the current rate of sales, this figure represents 13.4 months’ supply of homes on the market. 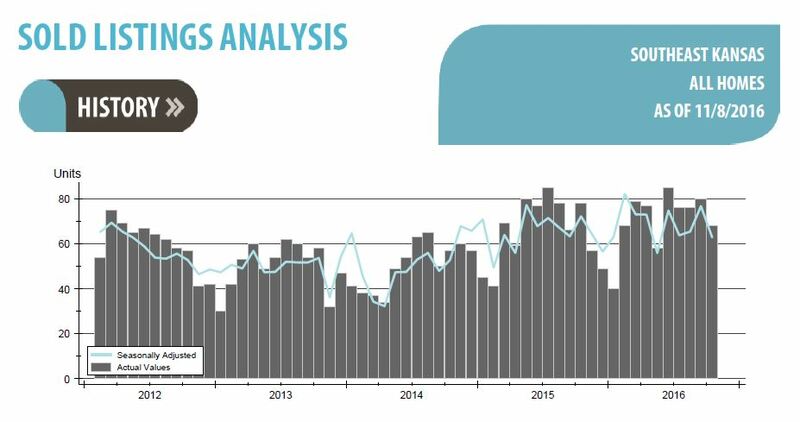 View the comprehensive statistical report at https://goo.gl/PRhlEY. Homes sales in Southeast Kansas fell by 12.8% in October compared to the prior year. Sales in October 2016 totaled 68 units, down from 78 in 2015. The average sale price was $77,586. This represents a decrease of 16.0% from the October 2015 average price of $92,369. A complete statistical report for southeast Kansas is available at https://goo.gl/mpNuwO. A total of 52 contracts for sale were written in October 2016, down from 56 in October 2015. This is a decrease of 7.1%. Contracts written during the month reflect, in part, sales that will close in the near future. The inventory of active listings in Southeast Kansas stood at 737 units at the end of October, which is down from 755 homes that were on the market at the end of October last year. At the current rate of sales, this figure represents 10.8 months’ supply of homes on the market. Homes sales in Southeast Kansas fell by 12.8% in July compared to the prior year. 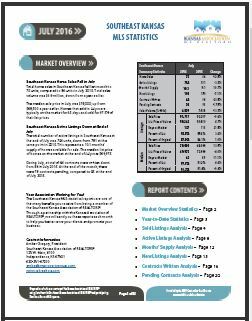 View the Comprehensive Statistical Report for Southeast Kansas. Sales in July 2016 totaled 75 units, down from 86 in 2015. The average sale price was $91,717. This represents a decrease of 0.6% from the July 2015 average price of $92,297. A total of 64 contracts for sale were written in July 2016, down from 84 in July 2015. This is a decrease of 23.8%. Contracts written during the month reflect, in part, sales that will close in the near future. The inventory of active listings in Southeast Kansas stood at 754 units at the end of July, which is down from 781 homes that were on the market at the end of July last year. At the current rate of sales, this figure represents 10.1 months’ supply of homes on the market. For questions and/or comments, please contact SEKAR President Amber Gregory at 620-330-1637 or Amber@MyPropertyGroup.com. We need your help. Take action and sign up, RIGHT NOW-HERE. Tens of thousands of REALTORS® from across the country have already signed up for REALTOR® Party Mobile Alerts and so should you! REALTOR® Party Mobile Alerts is the latest way for REALTORS® to stay informed via a text message when a Call for Action is launched. In a matter of minutes, you can take action by simply following a link we send to your mobile device. Now more than ever, our elected officials need to hear from real estate professionals like you before they make important decisions about the housing industry and private property rights. The National Association of REALTORS® has established a goal of 20% participation in all of our national Calls for Action. This means we need ~200,000 REALTORS® to take action on our Calls for Action. With over 1,000,000 members, we KNOW we can do it, with your help! With an energetic and engaged membership we believe we can reach this goal and even surpass it. Stay connected with REALTOR® Party Mobile Alerts and help us reach our goal! Homes sales in Southeast Kansas rose by 27.1% in April compared to the prior year. Sales in April 2016 totaled 75 units, up from 59 in 2015. The average sale price was $67,522. 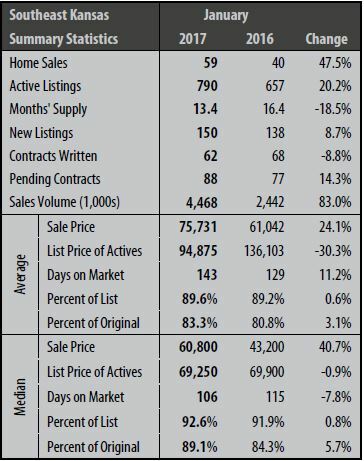 This represents a decrease of 14.7% from the April 2015 average price of $79,168. A total of 54 contracts for sale were written in April 2016, down from 75 in April 2015. This is a decrease of 28.0%. Contracts written during the month reflect, in part, sales that will close in the near future. 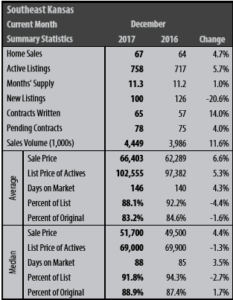 The inventory of active listings in Southeast Kansas stood at 714 units at the end of April, which is down from 762 homes that were on the market at the end of April last year. At the current rate of sales, this figure represents 9.5 months’ supply of homes on the market. 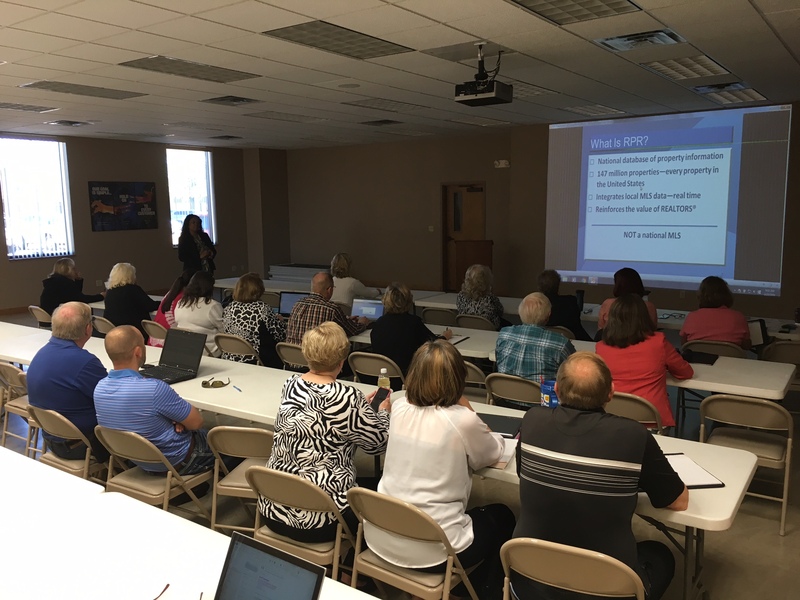 Real estate professionals from Parsons, Independence, Iola, Coffeyville, and Ft Scott gathered in Parsons for specialized training on REALTORS® Property Resource (RPR). RPR is an exclusive tool for REALTORS® that contains a robust set of data on residential and commercial properties nationwide that includes mortgage, tax and distressed property information; school attendance zones, FEMA flood maps, demographics, market activity heat maps, and more. RPR is an important tool that REALTORS® use to meet the growing demands of today’s informed consumer.